Set in the Radisson Blue Latvija, Riga, Latvia, from 12-14 September 2018. 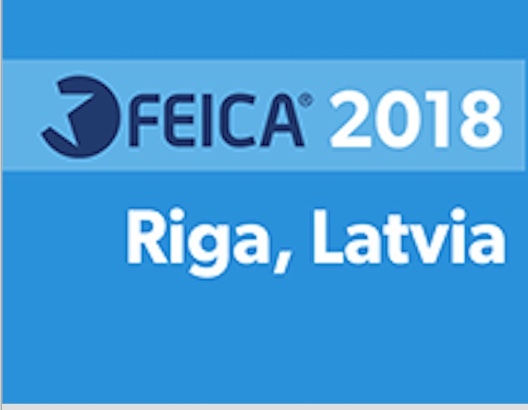 Each year, FEICA attracts record numbers of industry leaders to its annual Conference to discuss market drivers and trends, innovation, sustainability and technological advancements. The FEICA Conference and EXPO is firmly established as the premier event for Europe’s adhesive and sealant industry, providing essential insights into the key issues affecting the industry, as well as outstanding networking opportunities for formulators, customers and raw materials suppliers to discuss the latest trends and wider business environment. This year’s Conference will focus on the impact on our industry of the rapid and far-reaching changes resulting from the emerging “digital age”. Seasoned participants of the FEICA Conferences can rest assured that an extensive social programme is already in place to ensure that work and play are in good balance. We kick off on Wednesday 12 September with the Welcome Cocktail for all delegates and accompanying persons. The Conference Dinner ‘A Night in Riga’ on Thursday 13 September will again be an ideal networking opportunity for all. © Copyright British Adhesives & Sealants Association 2019 | All rights reserved.